2) Explain how DevOps is helpful to developers? for clearer communication between the team members. 3)List out some popular tools for DevOps? 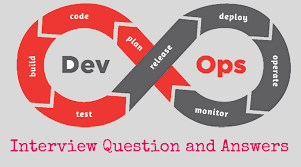 4) Mention what are the key aspects or principle behind DevOps? 6) Explain how "Infrastructure of code" is processed or executed in AWS? 7) Mention at what instance have you used the SSH? untrusted hosts over an insecure network. 8) Explain how would you handle revision (version) control? 9) Mention what are the types of Http requests? 10) Explain what would you check If a Linux-build-server suddenly starts getting slow? issues, SMTP server response time issues, etc. select the color on the specific point. It gives you the RGB value of the color at that point. 12) Explain what is Memcached? Memcached is a free and open source, high-performance, distributed memory object caching system. SQL data base or another source repetitively to fetch data for concurrent request. 13) Mention some important features of Memcached? to save your updated object. Memcached you can use igbinary option. 14) Explain what is Dogpile effect? How can you prevent this effect? requests made by the client at the same time. This effect can be prevented by using semaphore lock. In this system when value expires, first process acquires the lock and starts generating new value. 15) Mention what is the difference between Memcache and Memcached? procedural interfaces. It is designed to reduce database load in dynamic web applications. load. It is the latest API.